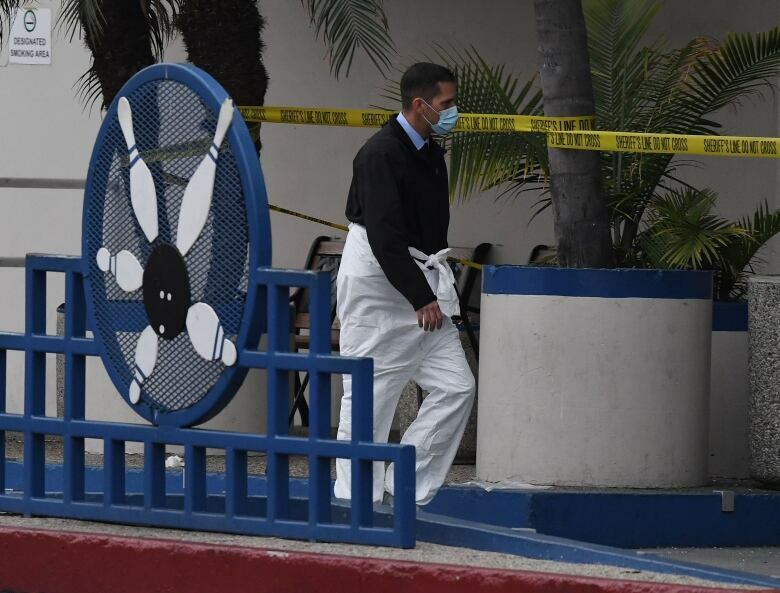 Three men were fatally shot late Friday and four injured when a brawl at a Los Angeles-area bowling alley erupted into gunfire that sent terrified patrons running for their lives. Three men were pronounced dead at the scene and two were taken to a hospital, Sgt. Ronald Harris said. Two other men were struck by gunfire but "opted to seek their own medical attention." Dwayne Edwards, 60, of Los Angeles, said he received a call from his nephew that his 28-year-old son Astin Edwards was one of those killed. His nephew told him his son was attempting to break up a fight when a gunman "just started unloading." "I'm thinking this is a dream and I'll wake up," Edwards told the Orange County Register. "He was a good kid. I don't understand it." 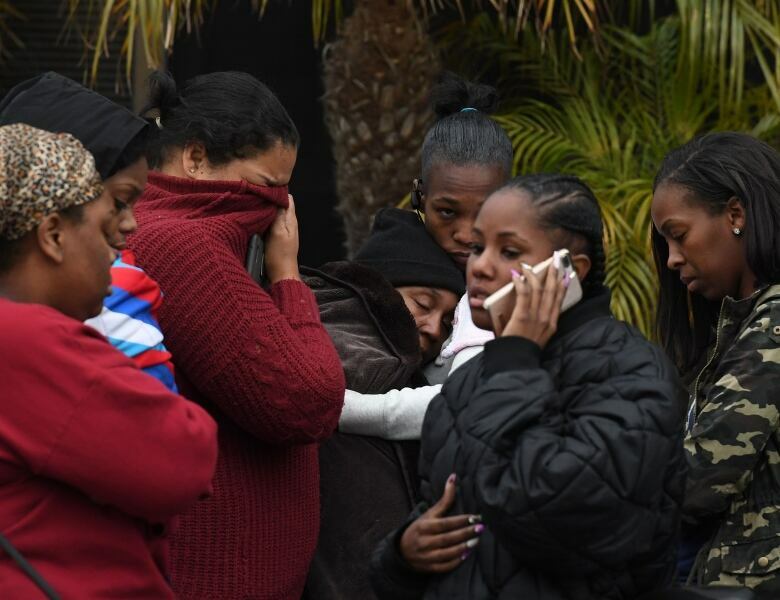 A grieving mother told KABC-7 her 28-year-old son, Robert Meekins, was among the victims killed. She said her son was a friend of Astin Edwards, and she believed he also tried to help break up the fight. "They were friends, so I know he probably jumped in and helped Astin and whoever he was with ... but I don't think my son deserves to die," Angeline Hubbard said. Wes Hamad, a 29-year-old Torrance resident, was at the bowling alley with his 13-year-old niece and cousin when he saw a "huge fight" break out. Hamad said the brawl, which lasted about five minutes, blocked the entrance and devolved into "complete chaos." 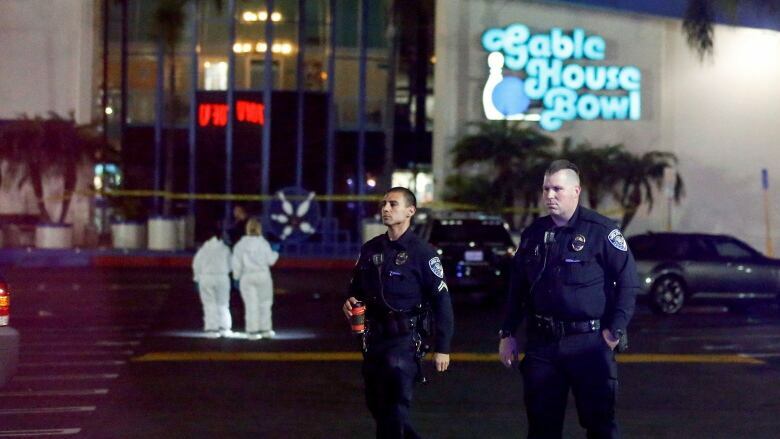 "I grabbed my niece and started running toward the far end of the bowling alley," he said. "As we were running, we heard 15 shots." Witness Dana Scott, whose bowling league was meeting Friday night, told CNN: "A lot of people ran back into the bar area — behind the seats and onto the floor, under the benches. People were crying." Thomas said he didn't feel scared because he was "just trying to survive." But when he was driving home he said he realized how traumatic the situation was and said he hasn't been able to fall asleep. "Closing my eyes, all I can see is the women against the wall crying, not knowing what to do," he said. "I definitely won't be going back anymore," he added. "We must do more to address gun violence," she said. "Americans should be able to go to a bowling alley and be safe."